I love using our classroom iPad an iPods to help extend the learning for early finishers or reinforce skills with my struggling students. 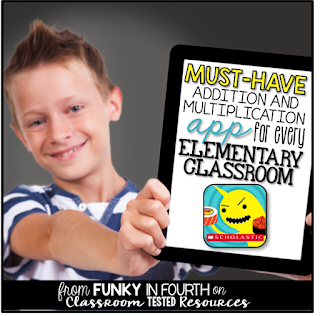 Scholastic has an amazing app that helps students practice addition and multiplication (plus it is FREE)! Sushi Monster is an app that allows students to practice either their multiplication or addition skills. The monster in the middle of the table has a product or sum on him and students must select the plates to feed him to make the number sentence match! 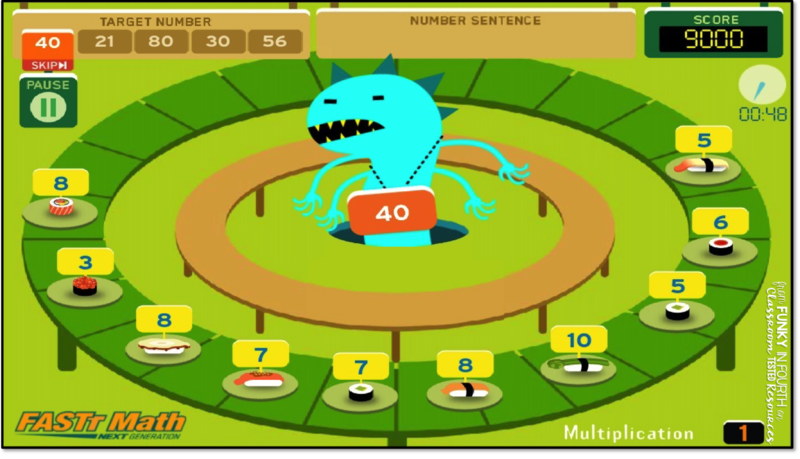 It moves quickly and students love the silly graphics of him devouring the numbers! 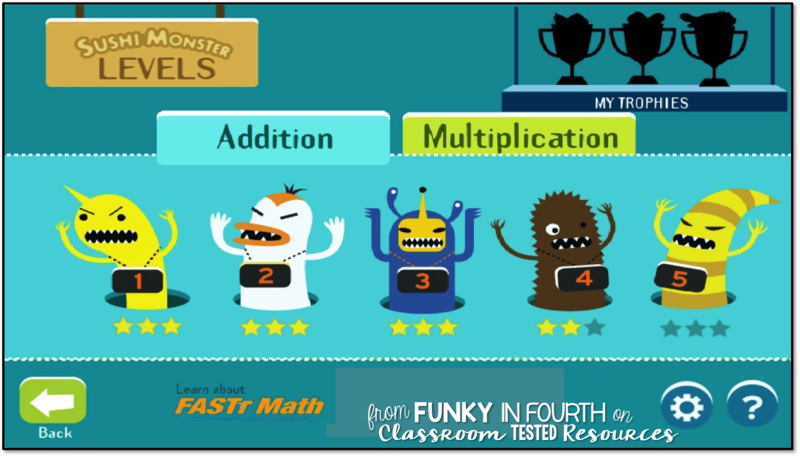 There are seven different levels for addition practice. 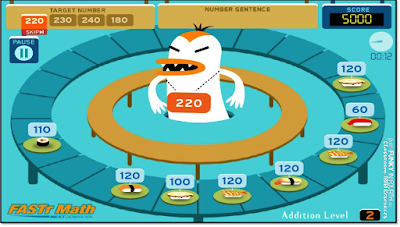 As the levels progress, the difficulty for each one gets a little bit harder. For my lower students, I have them start in level one each time they play the game. 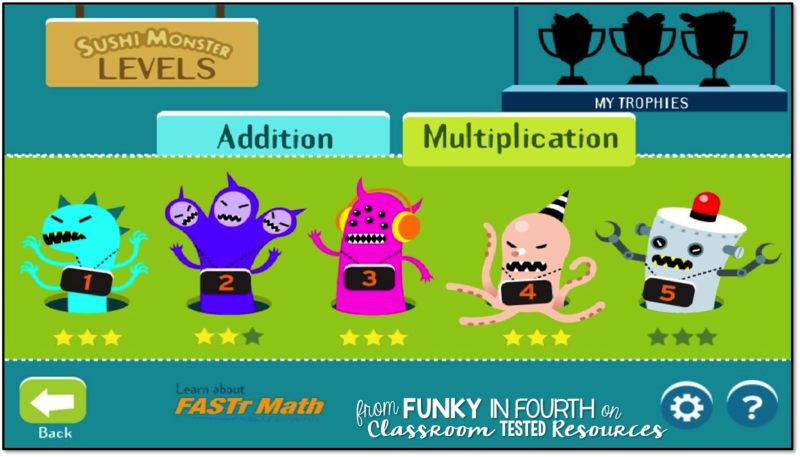 This reinforces their basic skills over and over again! 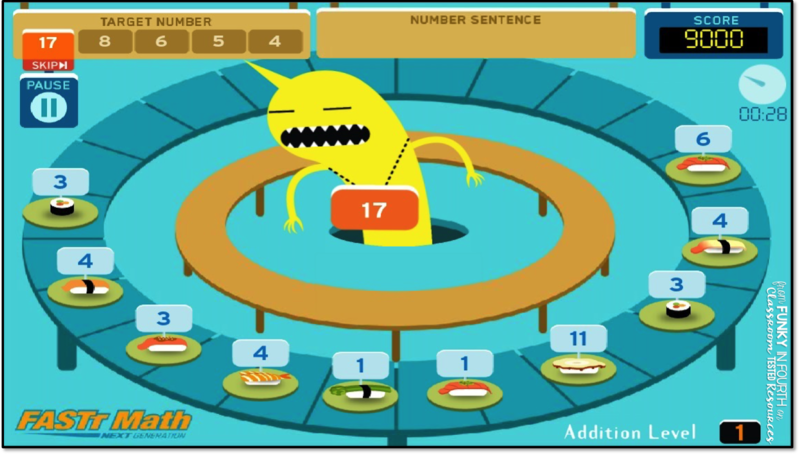 Students have to get 10/14 correct before they can move on to the next level. There are also seven different levels for multiplication. 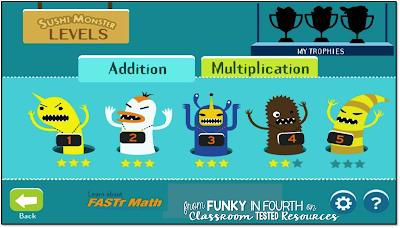 It starts out with basic facts and quickly progresses to extended multiplication facts. I tell my students to start at the level they ended at the last time. Students have to get 10/14 problems correct to progress to the next level. Do you have any favorite addition/multiplication apps for the classroom? 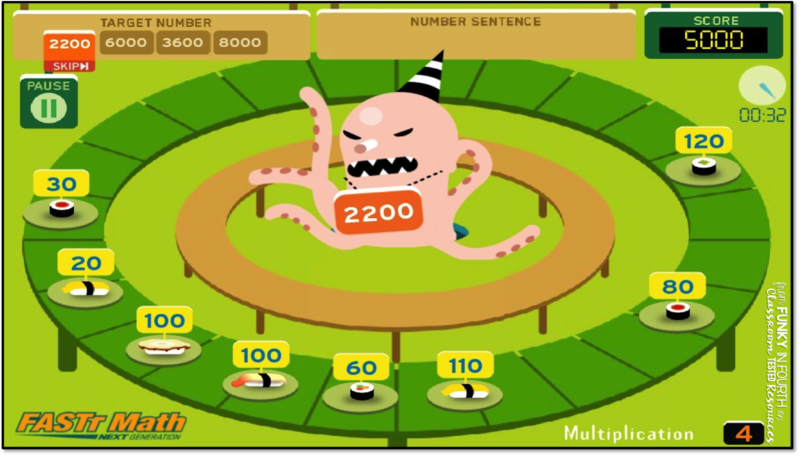 Have you tried Sushi Monster with your students yet?